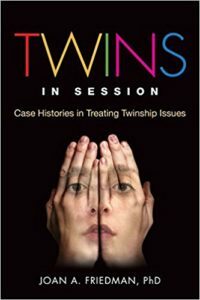 When new acquaintances get over their surprise about my vocation as a twin therapist, they ask all sorts of questions and tell me interesting stories about twins. I particularly loved an interaction I had with a woman who has seven-year-old fraternal twin grandsons. She told me how upset she had been when her daughter-in-law and son decided to put the boys in separate kindergarten classes. While she wisely did not share her disapproval of this decision with the boys’ parents, she felt it was wrong. The reason she felt separating the boys would be injurious to their well-being was that they are so closely connected. In addition, she had concerns about the boys’ parents becoming overwhelmed with separate classrooms, teachers, homework, and so on. Nonetheless, this lively and opinionated grandmother now contritely admits that she was 100 percent wrong. The boys thrived in their separate classrooms and have continued to do so. She shared that the boy who seemed to be the more passive of the pair at home actually became a peer leader in his classroom. Consequently, his role at home with his brother has become more equal. In retrospect, she acknowledges that the boys’ parents had a very evolved understanding of each child and that they recognized how important it would be for them to have separate classroom experiences. 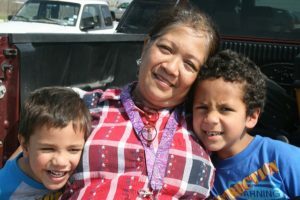 She has seen the growth and changes in her grandsons and is delighted about their individual development. She is also thankful that she kept her opinions to herself since they were unintentionally misguided! As so often happens, the twin mystique can cloud our judgment. Parents know best what their children need, and issues such as classroom separation for twins have to be considered on a case-by-case basis. Certainly, in these circumstances, one size does not fit all.